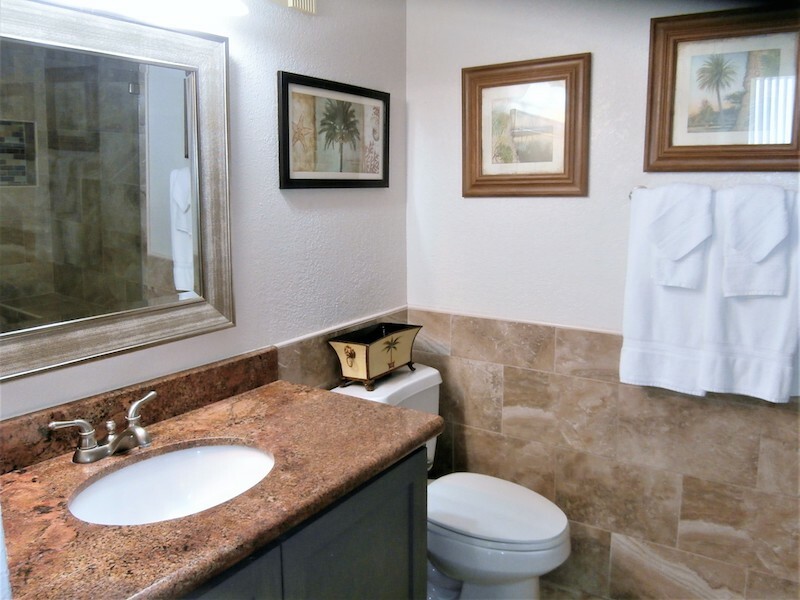 NICELY DECORATED with inviting tile floors upstairs and down. 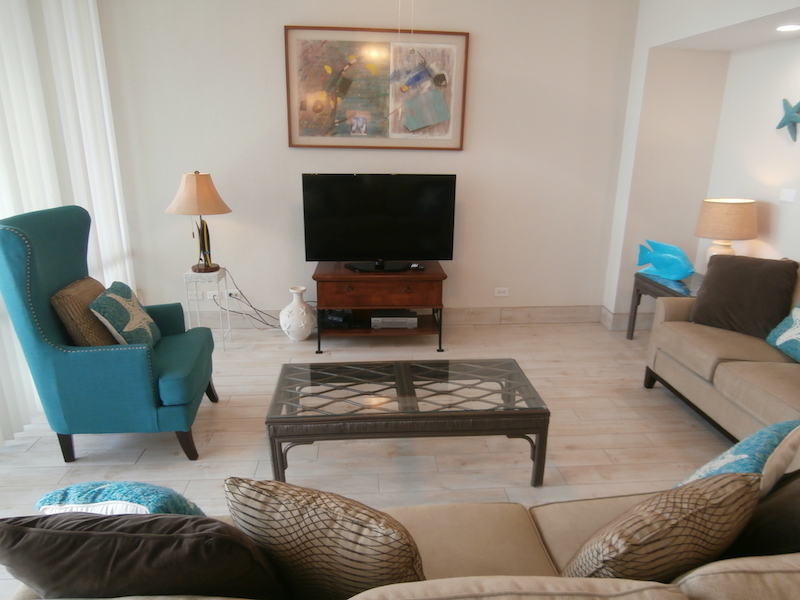 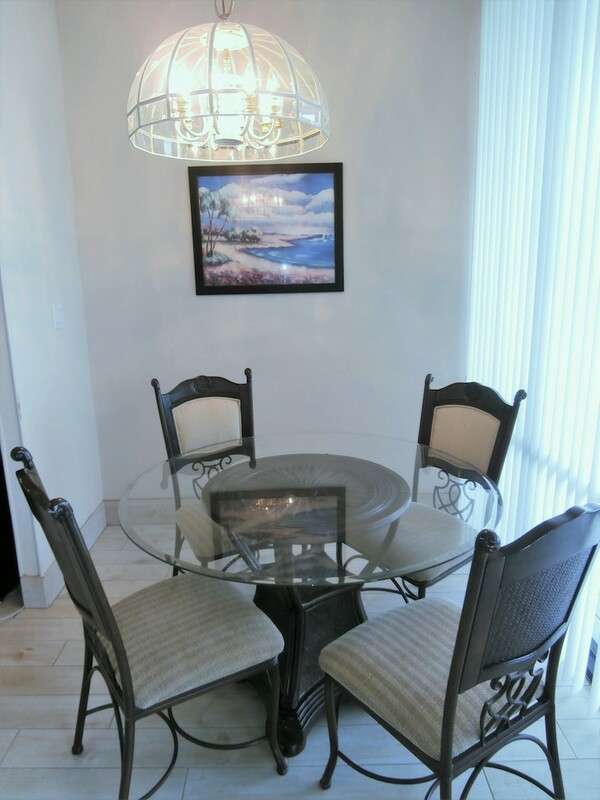 2 bedroom suites with private baths, double closets and bay balcony access to enjoy island breezes. 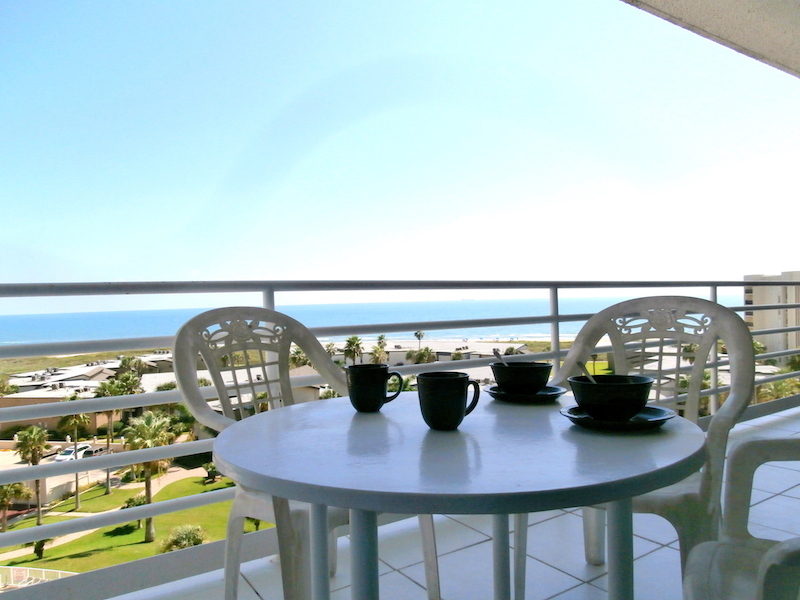 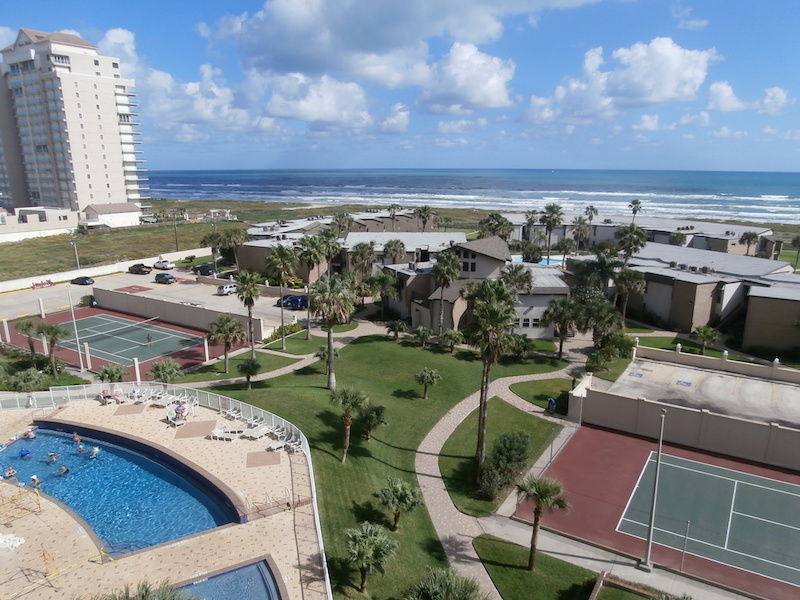 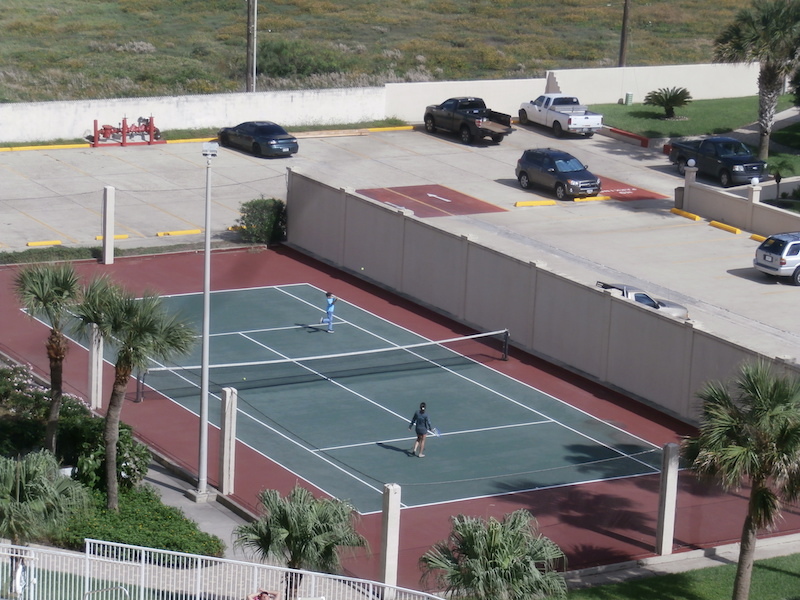 Head upstairs to a wall of windows with beautiful Gulf views. 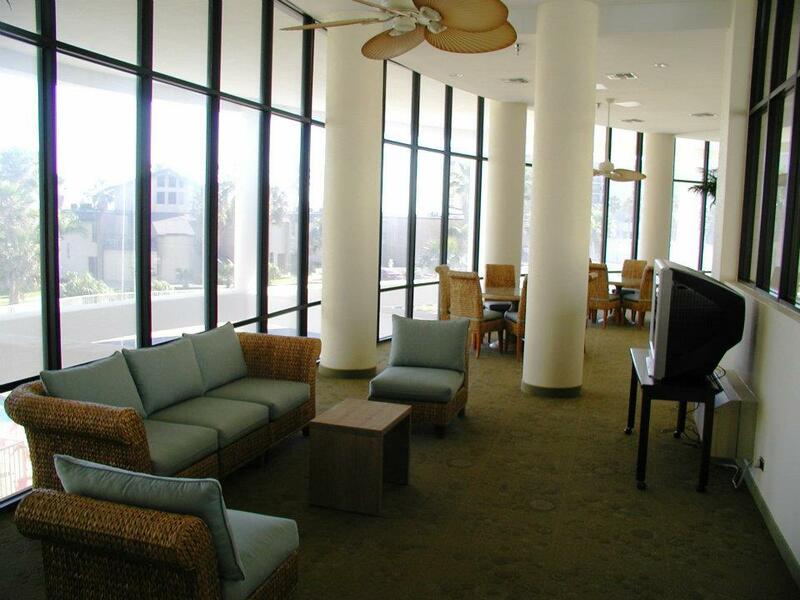 Nice sized patio overlooks lush grounds, pool area and the beach. 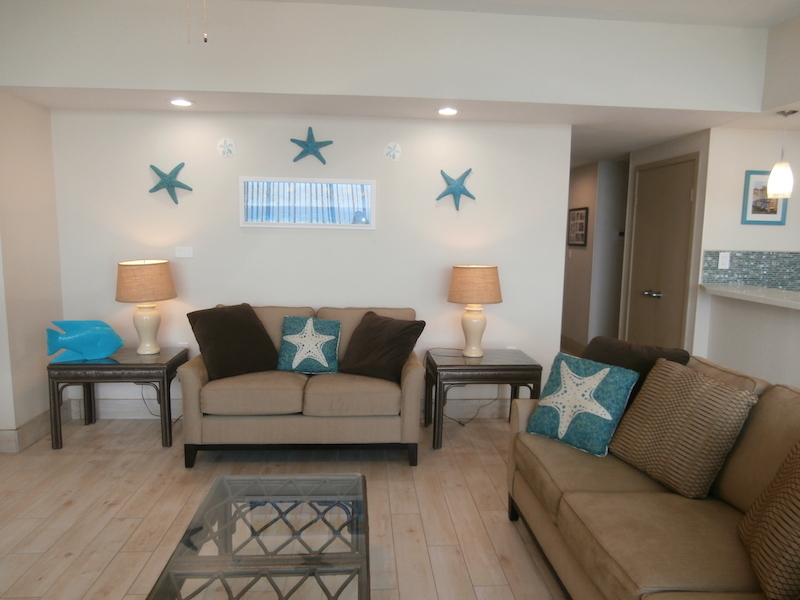 Calming color scheme, comfortable furnishings … bring the family and complete the picture! 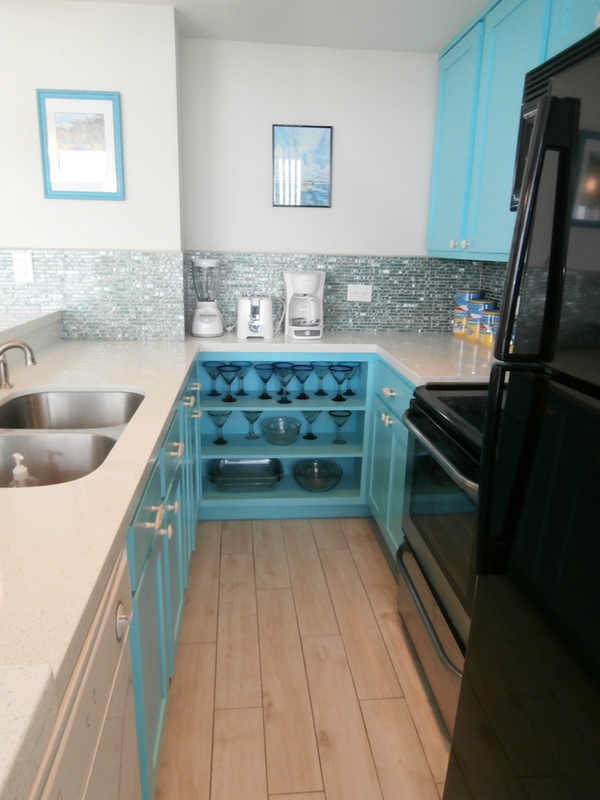 •	Updated kitchen: Custom cabinets, quartz counters, brushed nickel fixtures. 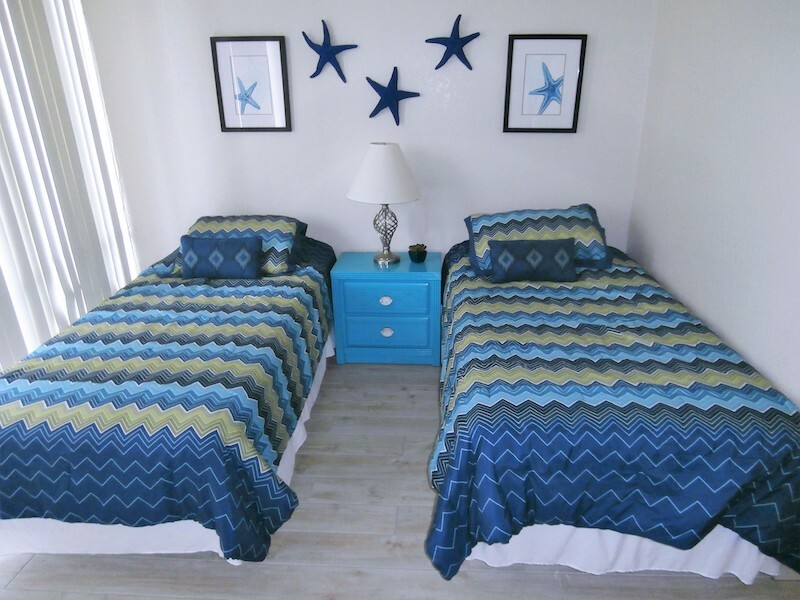 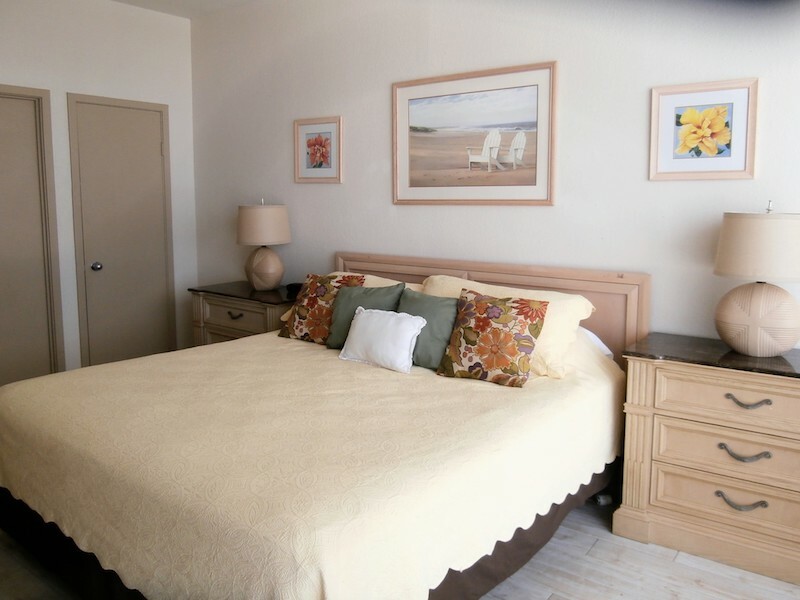 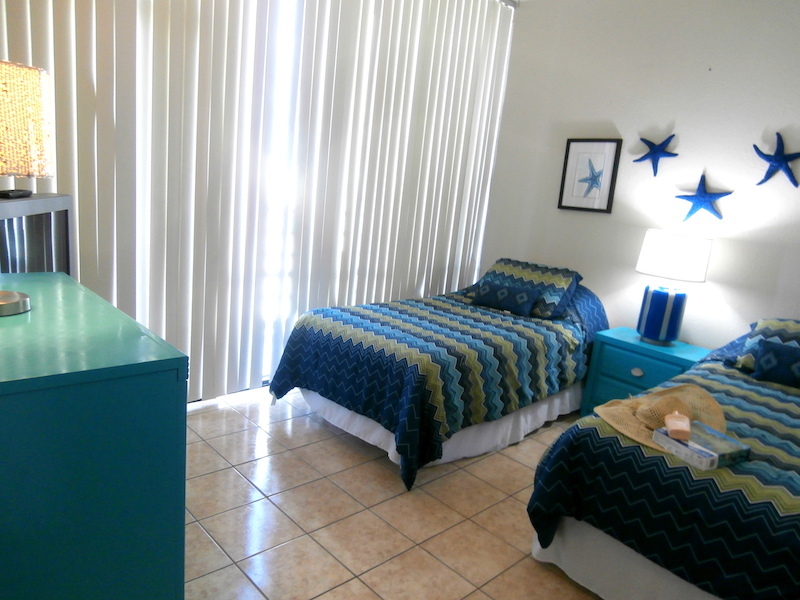 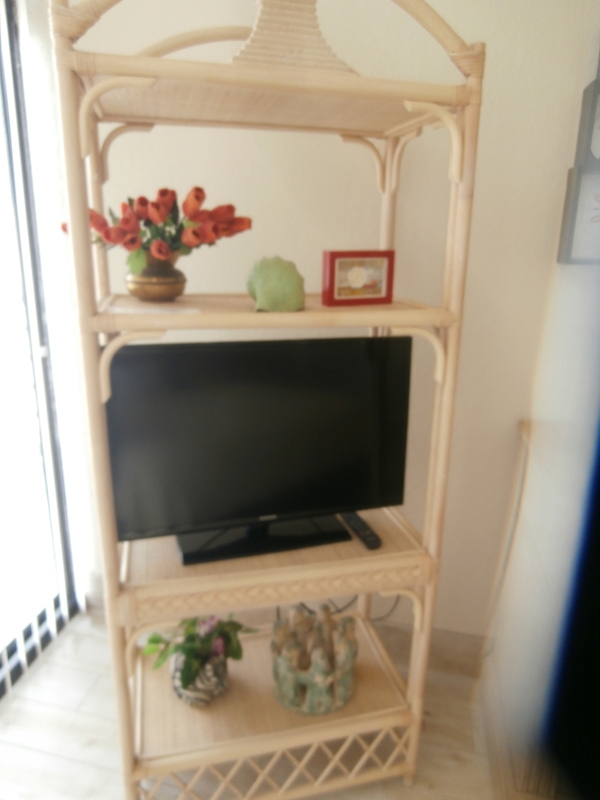 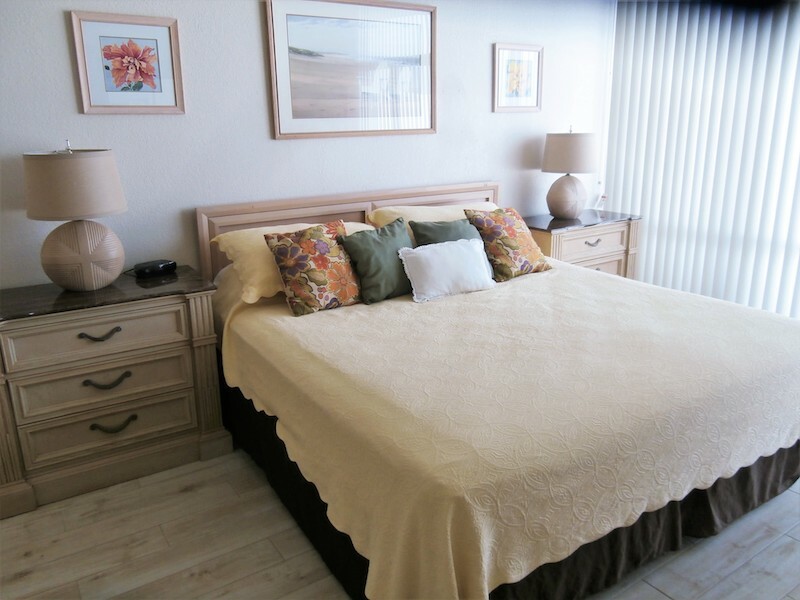 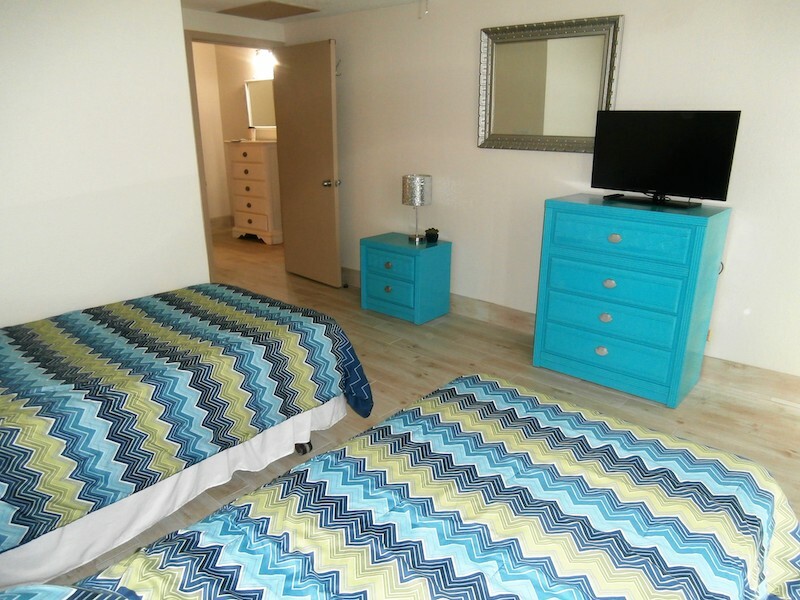 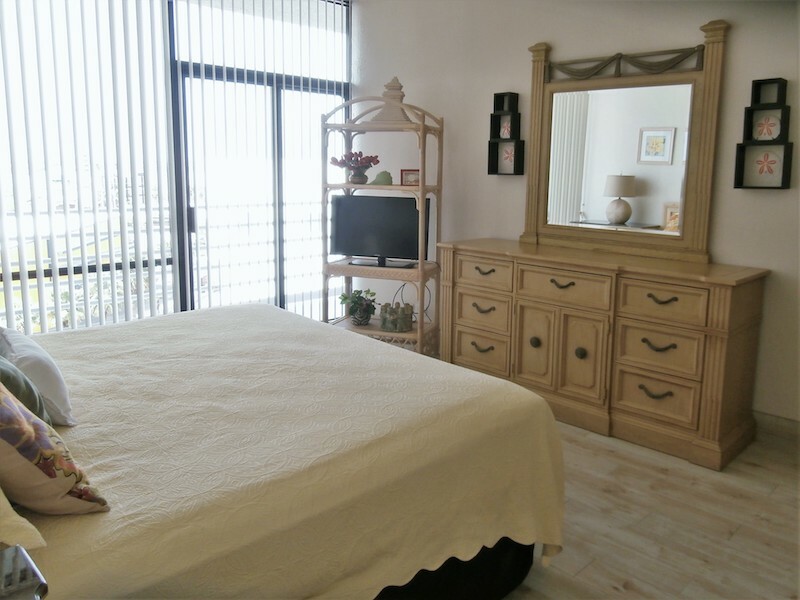 •	There is a 50” flatscreen TV and a DVD player in the living room, a 32” flatscreen TV in the master bedroom and a 32″ flatscreen TV in the guest bedroom. 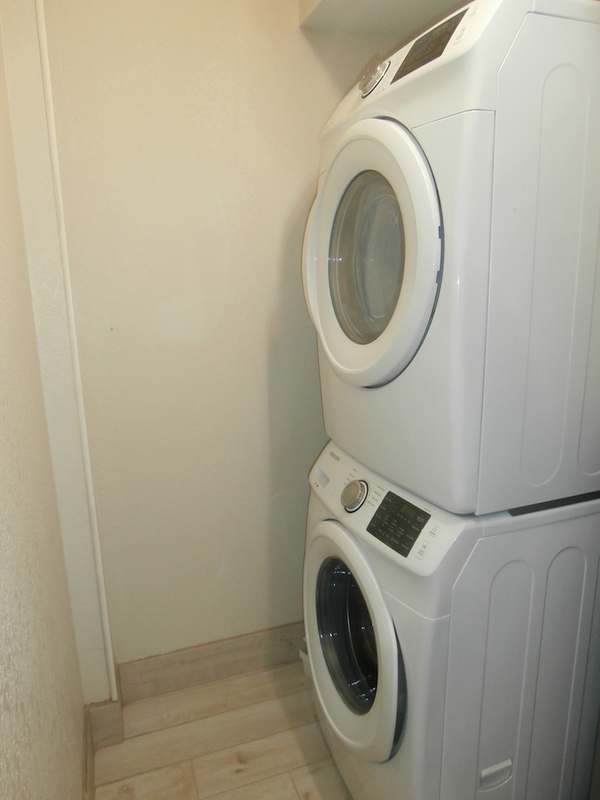 •	Laundry room contains full size stacked HE washer and dryer.